On Monday February 12, DRØME’s second fashion week show, The New New Wave, reimagined 70s punk aesthetics. 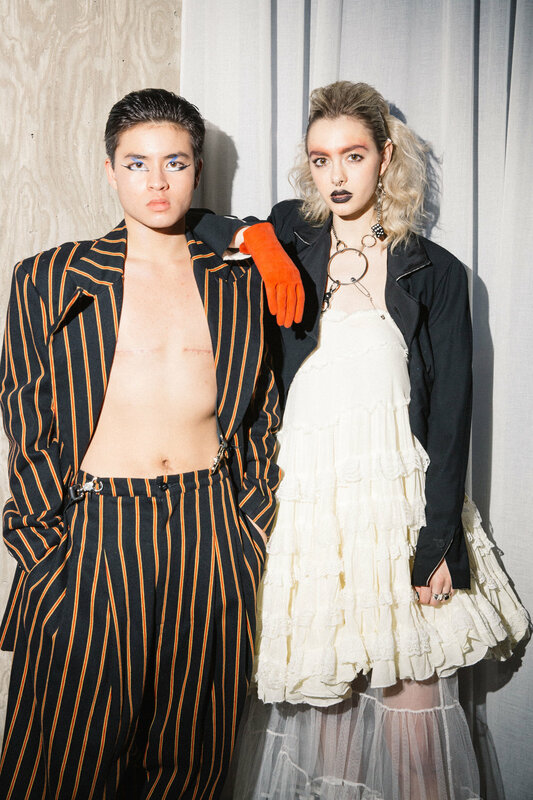 Hosted at Ian Schrager’s latest venue Public Arts, the show presented thirteen looks in collaboration with the iconic New York vintage store Screaming Mimis. True to DRØME's rebellious style, the models did not walk on a traditional runway; instead, they made their way through the crowd, some walking, some dancing. 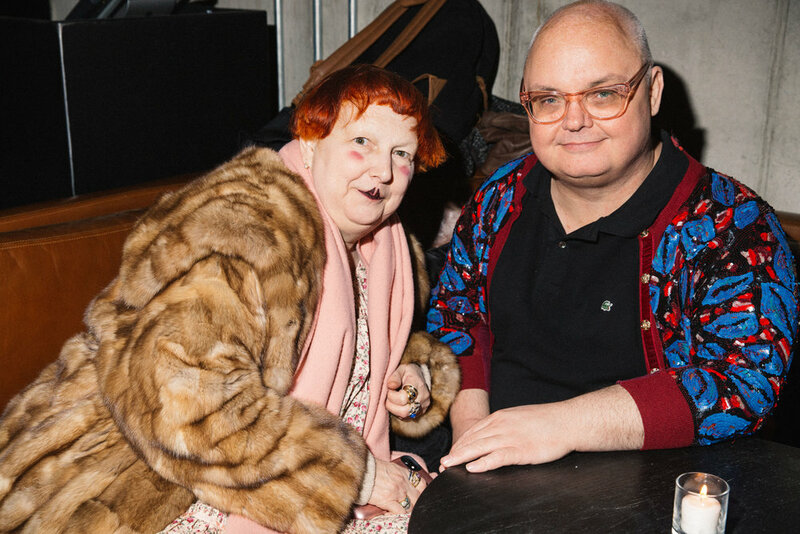 Over 400 people attended the event, including Danny Bowien, Kim Hastreiter, Micky Boardman, and Lynn Yaeger. The New New Wave asks what punk means to the individual. How is your identity a form of rebellion, and what does that rebellion look like? How do we reimagine punk in a modern context and use aesthetics and attitude to push back against destructive mainstream ideologies? With fashion as one of the most environmentally destructive industries, it is important to us to not be complicit in that trade but instead carve out our own spaces for sustainable fashion. Can the show, as a sustainable production, serve as a form of rebellion against the frivolousness of fashion week and the fashion industry itself? We worked closely with iconic New York City vintage store Screaming Mimi's to create looks that speak to all of these questions. 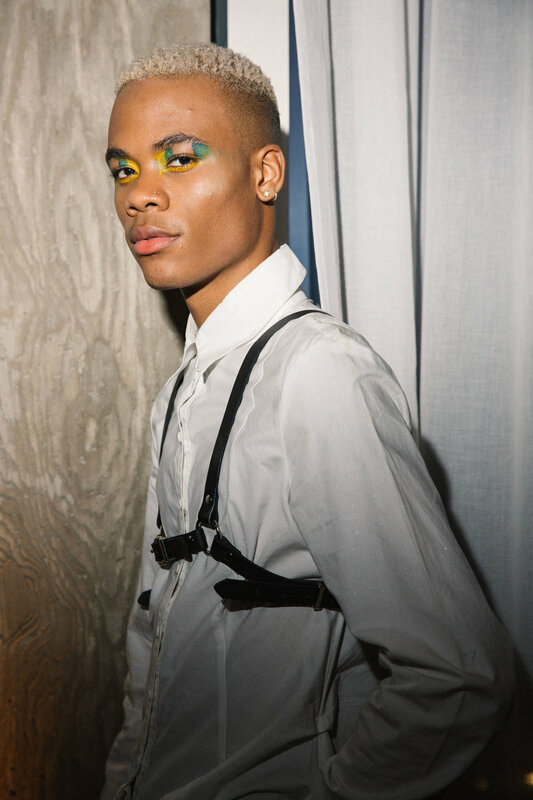 With The New New Wave, DRØME celebrated freedom of expression, individuality, and fashion as a good. The first of its kind, Screaming Mimis built their iconic reputation by approaching vintage clothing and costumes from a fashion stylist's perspective. Elaborate displays, hip staff, and celebrity clientele; a visit to Screaming Mimis is an experience. Often imitated but never duplicated, Screaming Mimis continues to excite and sustain the souls of true individuals in a world of mass-production. Always on the hunt for outstanding pieces, Screaming Mimis lives for the moment when you find exactly what you need to make an entrance, or to stop a heart, or to leave a lasting impression.